While it’s true that Ogden Nash was born in Rye, NY, proof of exactly where in Rye has long been lost. Enter mystery novelist Alan Beechey. When Alan moved to Rye nearly a decade ago, he was pleased to learn that the poet was born there in 1902. However, he was soon in equal measure dismayed when he learned that there was nothing whatsoever within the Manhattan suburb honoring Nash. Not a tree to the man who so beautifully satirized Joyce Kilmer’s ’Trees’ in ‘Song of the Open Road.’ Not a dog run to the canophile who wrote dozens of adoring verses about man’s best friend. Not a playground to the grandfather who penned ‘Reflections on Babies’ and whose animal verses have delighted children worldwide for generations. Nary a street sign to the wry wit whose first home was in Rye, NY and his last in Rye Beach, NH. So Alan set his sights on finding where in town the great versifier was born as a proper place for a Nash memoriam. That’s where the road becomes full of twists and turns that Beechey’s craft had well trained him for. The poor handwriting and casual errors of census takers and registrars of births and deeds have foiled many a family roots hunter. Undeterred by such obstacles over a two year period, Beechey, with the support of the Rye Historical Society, has assembled a plausible case for the exact places of Nash’s birth and childhood that forged his humorous literary symmetry. One of these places receives over a million passersby each week. 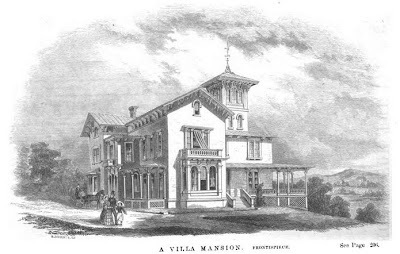 In its day Ramaqua, the estate of Ogden Nash’s father, was an Italianate showplace, designed in 1854 by the English architect Gervase Wheeler. 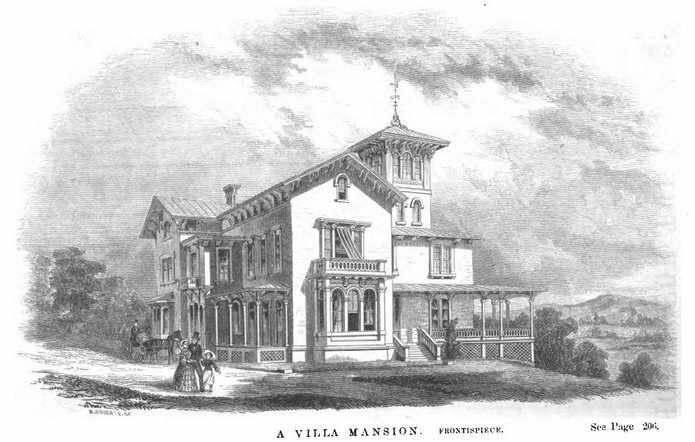 In his book, "Homes for the People in Suburb and Country," Wheeler writes "The reader who may chance to have occasion to travel to or from New York by the New Haven railroad may at any time see this villa-mansion from such a point, as it stands upon an eminence that suddenly starts into view just after the train has passed the depot at Rye.” Records indicate that the Nash’s lived at Ramaqua shortly after the turn of the century. Patriarch Edmund Nash was a turpentine baron whose business thrived with the US Navy’s need for varnishing their wooden hulled war ships – a franchise which eventually soured with the ascent of ships being launched with hulls of steel. In fact, had Ogden not been forced to leave Harvard because of the collapse of his father’s company, the delightfully roguish punster may have had the rhyme-ish adventurer formerly schooled out of him. As it was he returned to teach at St. George’s on Aquidneck Island where he had spent his prep days. From that springboard he learned how to live by his wit and his pencil, including supporting a family, for the rest of his life. 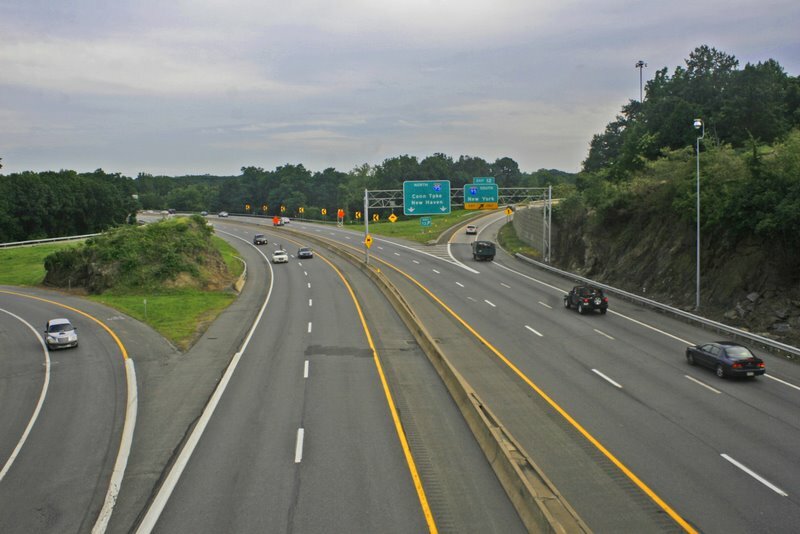 Ramaqua survived until the 1950’s until it succumbed to what is now America’s legendary Route 95. Part of the promontory upon which Ramaqua rested is this rocky outcrop in the highway divider. Ogden was not born at Ramaqua. 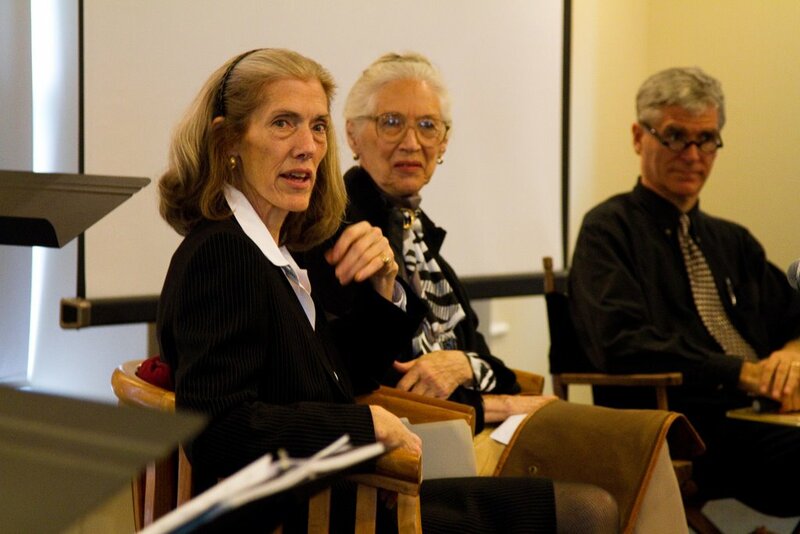 The mystery of where Matilde Nash gave birth to her first son might have been lost to history forever had Alan not asked Linell, Ogden’s daughter, a couple of years ago. Linell recalled her father’s cousin telling her that ‘Aunt Mattie’ went to the ‘Hicks place’ when her stork was due to arrive. With this anecdote in hand, Beechey found a corroborating entry in the August 1902 "Port Chester Journal" that "A baby boy was born to Mr. and Mrs. E. S. Nash, of the Hicks place. Unfortunately neither the town’s birth records nor the Episcopal churches baptism record details an address. Alan located a sizeable estate on a 1900 map owned by ‘Hicks’. This was the home of Colonel William Hix, Thomas Edison's electrical contractor - the spelling was corrected on a subsequent map. One can imagine Nash and Hix, leading industrialists whose estates were both in Rye, being acquainted in social circles. What was the Hix estate and most likely Ogden Nash’s place of first breath in this world, is now a gaggle of more modern homes along Hix Avenue. I had the pleasure of meeting Alan at the wonderful Nashional Treasure event he organized at the Rye Arts Center last fall. A standing room only crowd was delighted by speakers and special guests including Linell Nash, Ogden's daughter and Francis Smith, Nash's grandaughter. 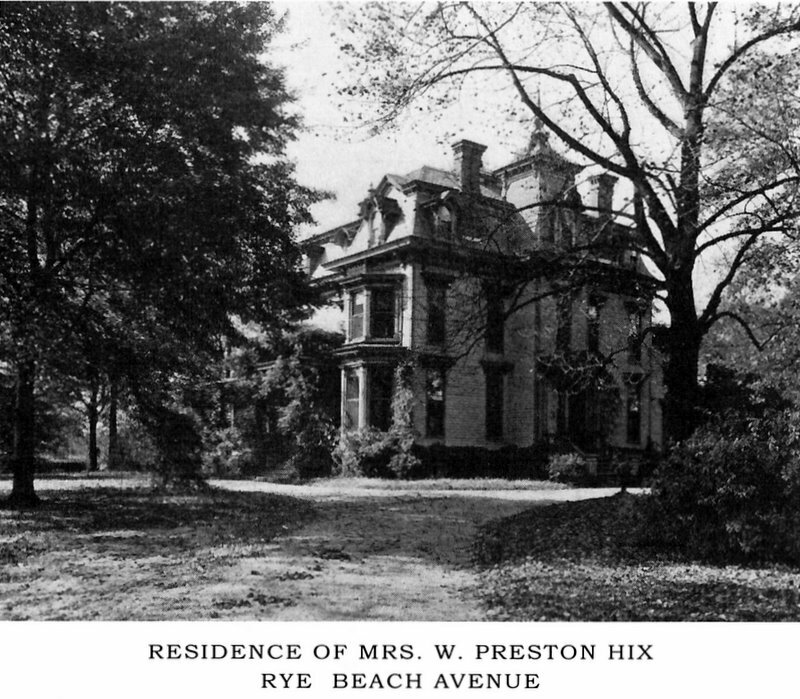 The event was written up in the Rye Record and the Sound Shore Review . As the 110th anniversary of Nash’s birth approaches on August 19th, it would be both comforting and poetic justice to hear that a memorial will someday be established for Nash in Rye. Would this make Ogden gnash his teeth? With a billboard or dirigible in the sky. On such boosterism-so let it die! If they allowed such chicanerye. With understated elegance-that's worth a try!